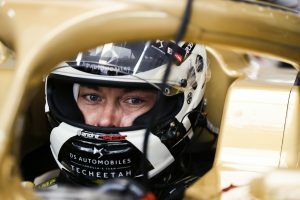 Andre Lotterer may have been one of the more seasoned pros in a young, precarious super pole, but it was still his maiden pole position he would go on to take – after a dramatic last-lap braking error looked set to send the position Mitch Evans’ way. 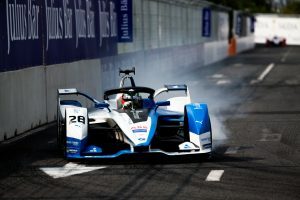 The Super Pole shootout only featured two drivers that had ever taken pole positions before in Formula E, Sebastien Buemi and Stoffel Vandoorne, and none had won a Formula E race not just this season, but since the third season. It all started here, in group one, where the most discontented of runners (if the usual qualms about the qualifying structure is anything to go by) got to business. Sam Bird was forced to abandon his hopes of a smooth warm-up lap followed by the big event, instead completing a compromised yet competent run. 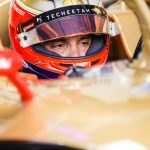 Jean-Eric Vergne and Jerome d’Ambrosio managed to get in each other’s way on their warm-up laps, while Antonio Felix da Costa snatched the early advantage from Bird. Di Grassi slotted into third, and the wait was then on to see how long they could maintain such lofty positions for. 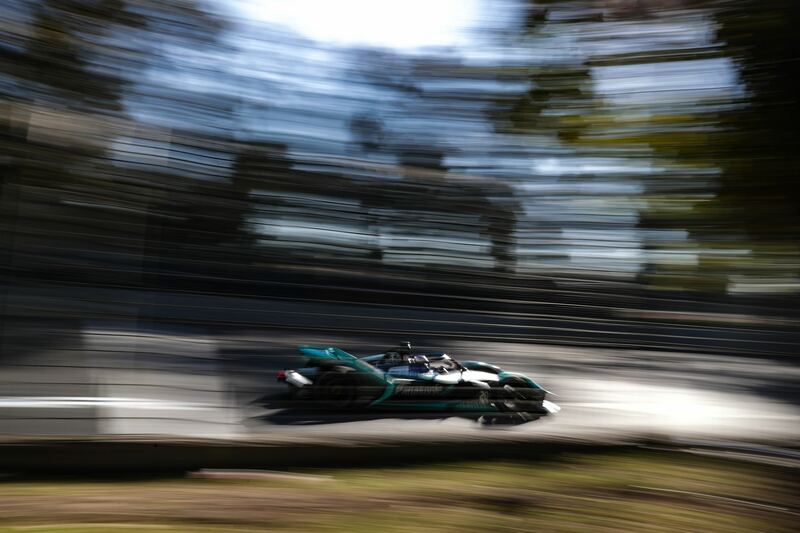 Group two saw the most spectacular lap of the afternoon – after Edoardo Mortara shocked us with a superb lap, one deserving of topping most timesheets, Andre Lotterer winded the guts of fans, his team and those around him with a spectacular dip into the 1:29s. From then on, it was just a matter of keeping within the same galaxy as Lotterer’s lap. 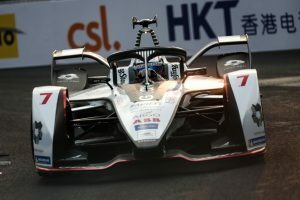 Daniel Abt’s attempt was botched and left him out of super pole contention, while Pascal Wehrlein gamely edged in there and Robin Frijns pieced together a lap good enough for third. Group Three would signal the end of the improvements – no one could touch Lotterer’s time, but Mitch Evans certainly gave it a good go. 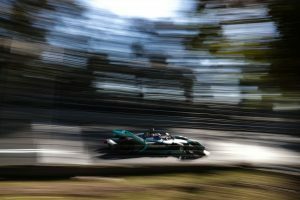 The Jaguar Racing driver, who’s unexpectedly consistent form this season has signalled him as a major threat, got within two tenths. Alexander Sims thrusted his BMW into the air, and crash landed down to earth with the Halo blinking red and his chariot going nowhere quickly, or for that matter at all. Oliver Turvey was left cut adrift, a sorry but usual sight, while Oliver Rowland missed out on super pole and so too did Felipe Massa. Sebastien Buemi, however, did cement his place in the provisional rankings. The final group saw one last scramble for the super pole places. 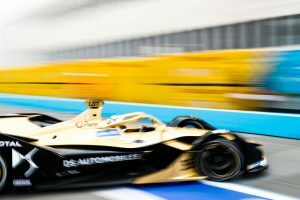 Jose Maria Lopez made sure to do enough to book his place in the final six, getting within four tenths of Lotterer’s wonder lap, while both rookie Stoffel Vandoorne and returning youngster Maximilian Gunther also reserved their tables. Alex Lynn, on his return to the series, performed admirably to coin a top ten grid slot, while Gary Paffett and Tom Dillmann could only wish for such heady heights, their performances drab and their cars underwhelming. Super pole offered up a rain bucket’s worth of drama – speaking of the rain, it threw up a myriad of challenges for the six runners. The early trailblazers, Buemi and Gunther, banked on more rain arriving, but were instead hung out to dry and left to act as reference points for the quicker laps after them. Gunther did edge Buemi out, no mean feat for the rookie. Stoffel Vandoorne’s lap signalled a drastic improvement in track conditions, not to take anything away from the Belgian’s mastery of skill. This was backed up by how Lopez was able to further improve, and so too Evans. Finally, Lotterer’s time to shine came around, and making the mistake of braking on the wet outside surface as Buemi and Gunther did, he looked to have thrown it away. The Jaguar Racing team celebrated, Brazil 2008-esque in the garage thinking they had it in the bag. 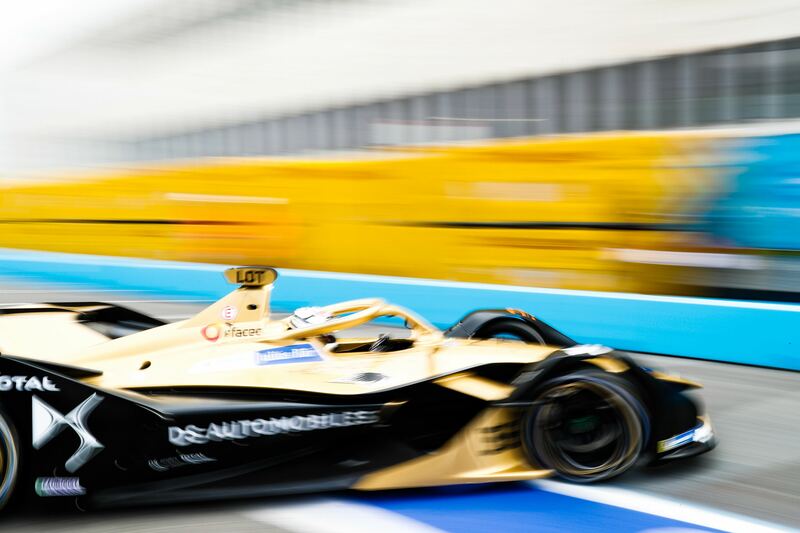 The strack surface, however, had dried considerably in the final sector, and coupled with the DS Techeetah’s higher ceiling of speed, Lotterer was able to atone for his error and then some with a dramatic maiden pole position.